Raleigh-Durham, NC might not be the biggest game development community in the world, but now it's a lot more tight-knit. When a small team of people are making a game with their heads to the keyboard hammering away at code, it's possible to lose sight of the fact that you aren't creating games in a vacuum. The greater community of designers on the web is fantastic, but sometimes you unwittingly have people who live and work on games right around the corner and meeting them in real life can be a tremendously positive experience. 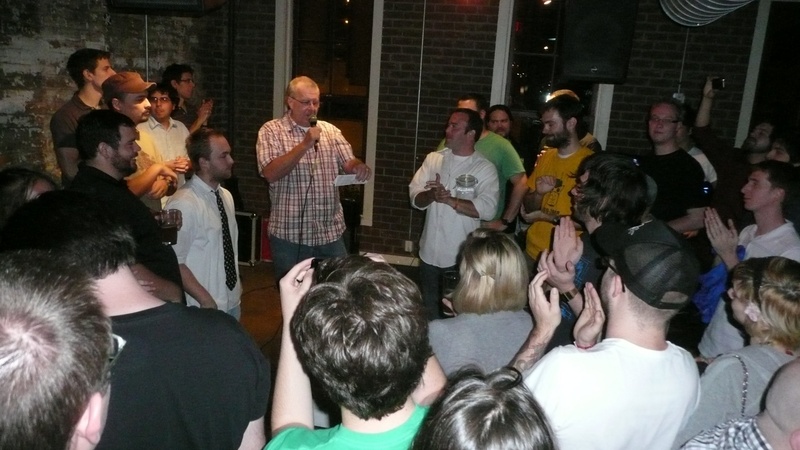 That was the impetus behind Mighty Rabbit Studios hosting the first Game On event in Raleigh, NC last night. 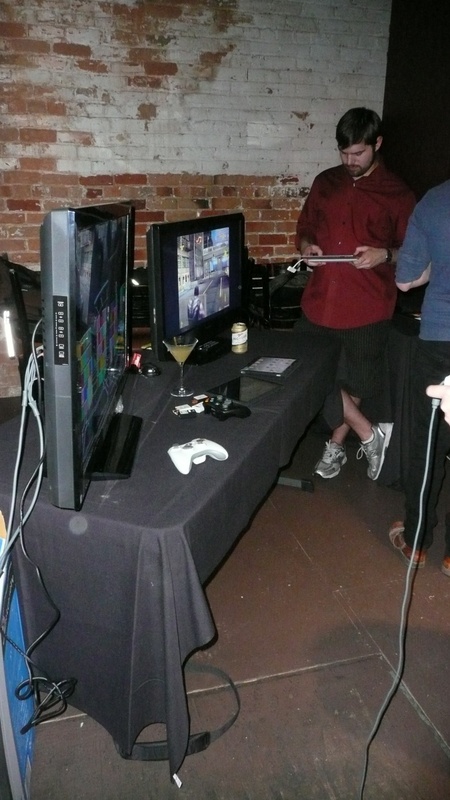 Many of the 10 independent developers who attended were not aware there were so many people making games in the area. By showing off their games to each other, these young companies made valuable contacts, and, dare I say, friends. "We met a ton of great people [here] and that just wouldn't happen in L.A," said Kevin Barrios of We Fiends, whose Sushi Boy Thunder won the trophy for best game of the night as voted by all of the attendees. Kevin and his brother Nick, along with Steph Fung working on sound and music, moved to the Triangle area (Raleigh, Durham and Chapel Hill, North Carolina) six months ago to make games and the community has welcomed them a lot more than might have happened in areas you typically associate with game development. "If we were in San Francisco or someplace like that, there's so many little cells so it's really hard to meet other developers," Kevin said. "Here, we just say, 'Hey John, we want to talk to this developer.' And we do, it's awesome." Kevin's referring to John Austin, managing director and head coach of Joystick Labs, a gaming incubator that specializes in helping game companies get off the ground. Austin was at the Game On event and the melding of gaming minds happening before him was impressive. "I thought [Game On] was great idea when I heard about it, and I'm really excited for all of the independent developers around here to have a chance to show off what they got," he said. Austin even served as MC of the brief awards ceremony that bestowed the Ben G. Russell Cup to We Fiends. Game On was the brainchild of Josh Fairhurst, President of Mighty Rabbit Studios. Josh talked me through his company's Saturday Morning RPG, a JRPG-style game for the iPad that is steeped in 80s pop-culture references like the Care Bear Stare and Transformers, before pointing out how important it is for developers to find out how their game works from strangers while they are making it, not after its "done." "We really think it's valuable for players to give feedback on games which is something that most companies don't allow. Most games are cloaked behind NDAs," Fairhurst said. "We wanted to make sure that we got as many people to play these games as possible." And there were a lot of people playing games. The big thunderstorm that wracked downtown Raleigh was no deterrent as more than 150 people attending the event held iPads, game controllers and mice to play more than 12 games being shown. My favorite was a PC strategy game called Digitanks from Lunar Workshops that felt like a combination of Tron, Civilization and the old school tank game Scorched Earth. Other developers were only able to show concepts and prototypes like Pangolin Games' Anabelle, an esoteric puzzle-platformer with fine art aesthetics being designed on the Windows 7 Mobile platform. For Ben Moore of Mighty Rabbit Studios, Game On was a massive success and he plans to run similar events on a quarterly basis. 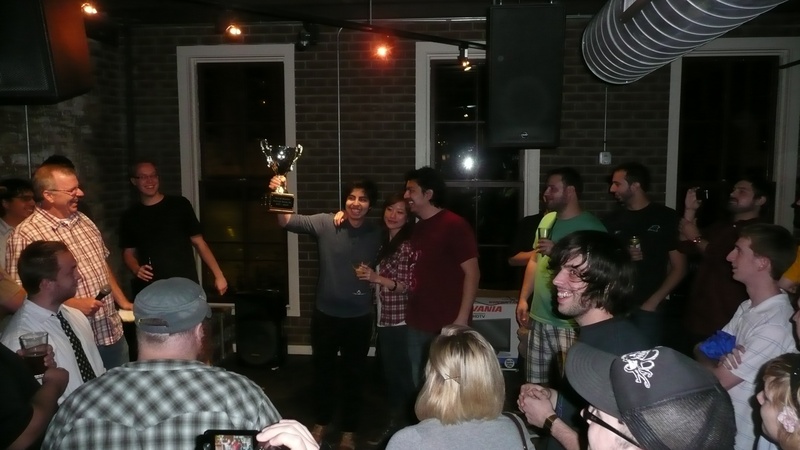 At each event, the Cup will get passed on to a new developer whose game is voted as the greatest game of the night. "The best experience for me was at one point looking up from the front table and seeing a glow coming from the faces of the developers as they enjoyed seeing other people enjoy their games," Moore said. For a moment, I thought Moore was talking about the glow of pixels being reflected on the faces of people holding bright iPads. Only when I realized he was actually referring to the figurative glow felt by developers witnessing the joy their games bring to complete strangers did I truly see the power of events like Game On.